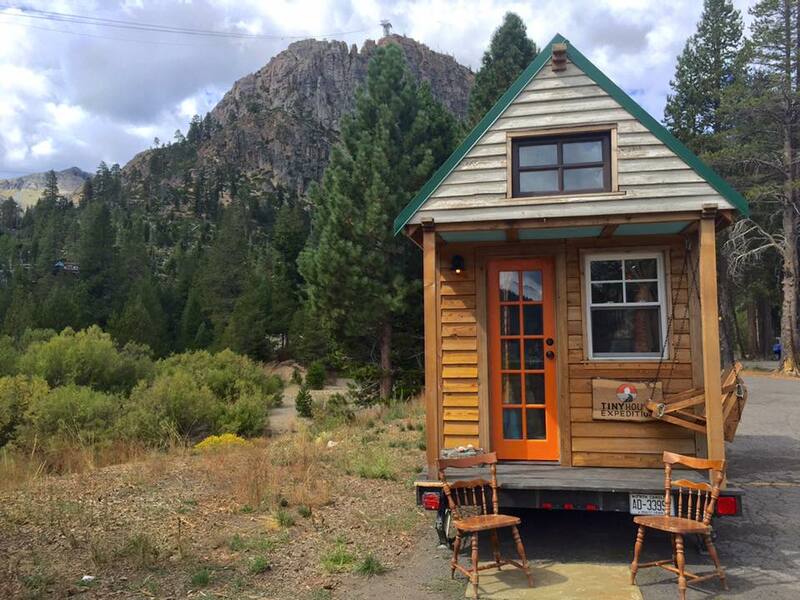 A tiny house road trip is an extraordinary experience. The ultimate way to spread smiles and start conversations wherever you go. Our traveling home has proven to be our comfy ticket to adventure and a delightful way to meet new people. I absolutely love waking up in new, strange places from the comfort of my own bed. There's nothing like making coffee and taking in the kitchen window view of today's surroundings, whether it be the ocean, another tiny house or even a crowd at a Walmart parking lot. Awkward? Sometimes. Christian and I have zig-zagged across the USA this past year, as part of our traveling documentary and community outreach project. 2016 was definitely jam-packed! We joined several tiny house communities, met tiny housers of all kinds, made a documentary, and so much more. Phew! Truly an amazing year. A epic road trip wouldn't be an adventure without a few misadventures. Think broken bones and poorly timed flat tires... We lived to tell the tale; it's all part of the journey. 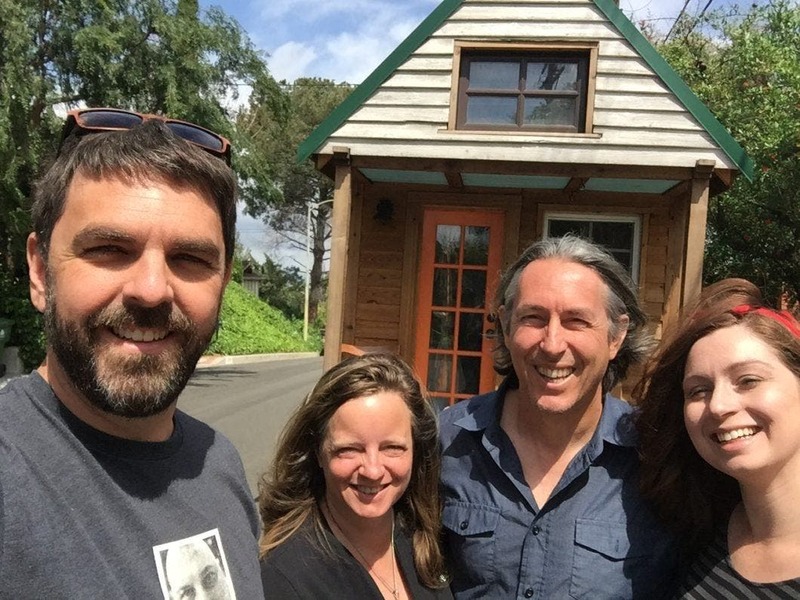 Listen to stories from our epic year, the best and the worst, on our recent Tiny House Expedition Radio episode on Facebook Live. Explore a closer look and visual roadmap of 2016 below. Here's to another year of adventure! Hope to see you on the road. Llamalopolis: one of our first and most impactful community experiences. 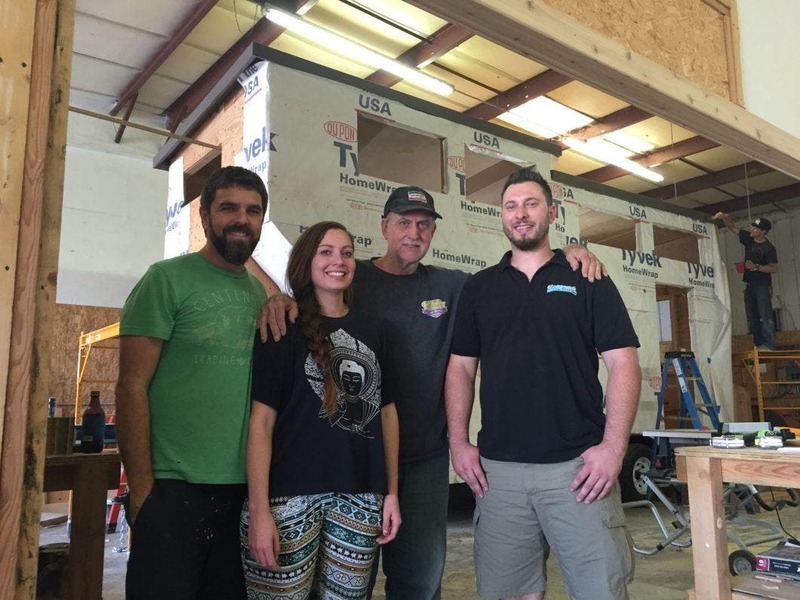 We got to experience a successful, working urban tiny home community up-close and personal. It was wonderful having neighbors for two full weeks. Fun, kind, fascinating neighbors-- the full and part-time residents of Llamalopolis. Read all about this urban tiny living oasis here. 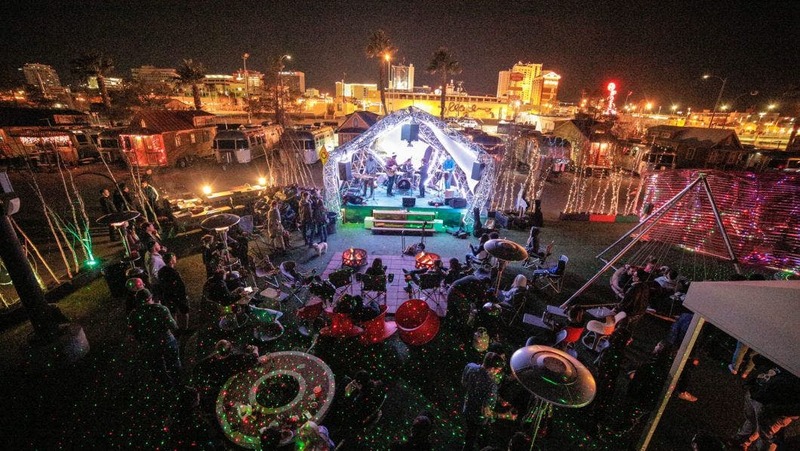 Burning Man: what happens when 70,000+ dreamers create a pop-up city in the middle of the Black Rock Desert? Magic. 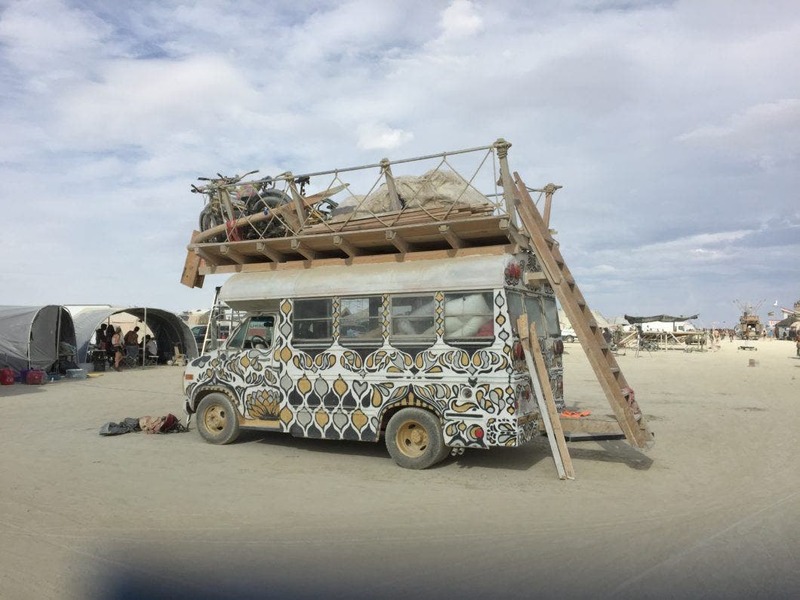 At Burning Man, everyone says, "welcome home." We soon realized in a community valuing radical self-expression and radical inclusion, you absolutely feel at home. 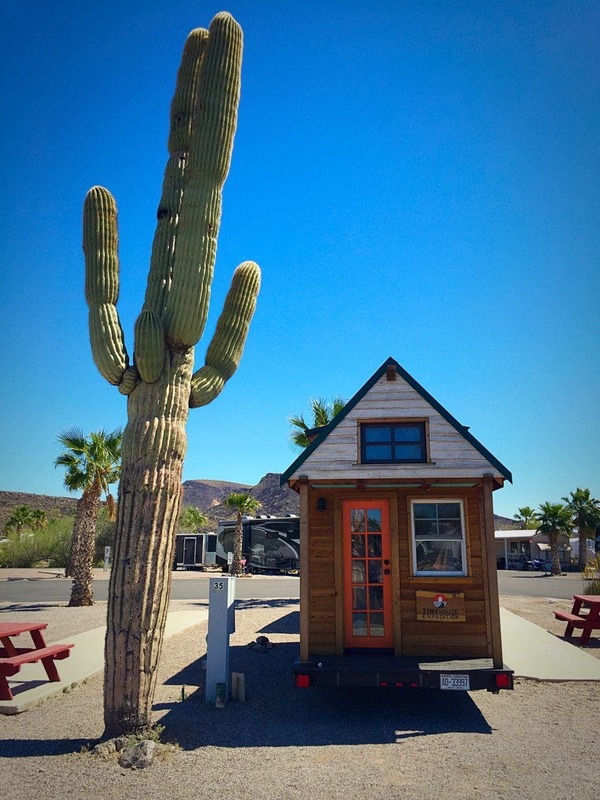 Even with all the amazing art, our tiny home was still very much a conversation starter. We even got parking offers! One of our favorite things about our Burning Man experience was truly being in the moment, savoring every moment. 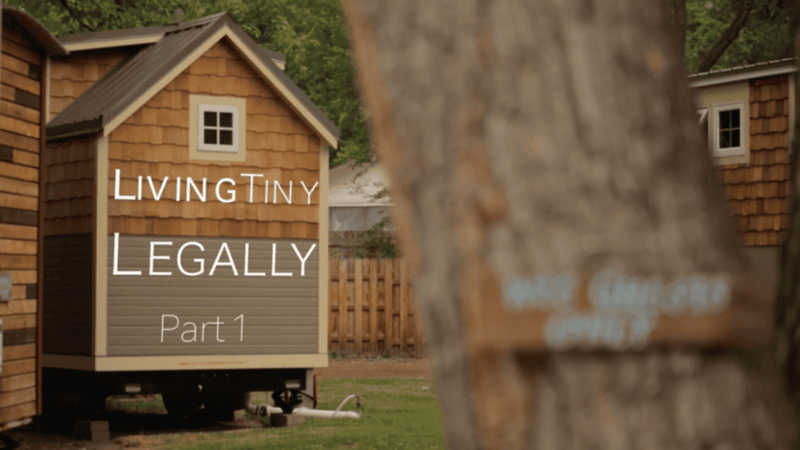 Living Tiny Legally: the release of Part 1 of our three-part educational documentary series was a huge relief and joyous success. We couldn't be more pleased to receive so much positive feedback from both advocates and government officials, who found the film to be insightful and a useful resource. 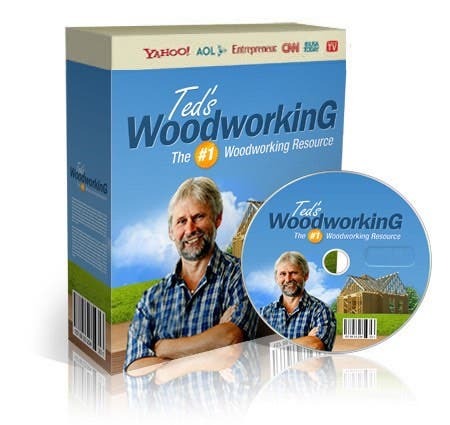 Now available on YouTube. 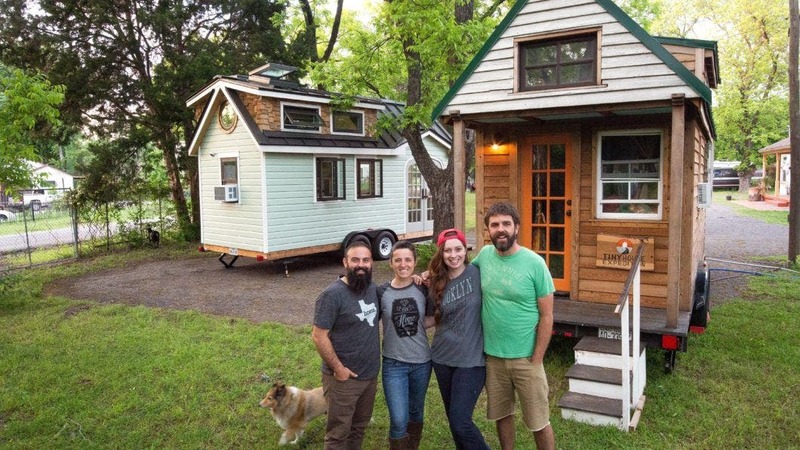 Meetups: there are so many wonderful, fired-up tiny house enthusiasts Meetups across the country. They are the heart and soul of the movement in many ways. Christian and I have had the pleasure of spending time with several in 2016, including the DFW, LA, Bay Area groups. Need an injection of inspiration and community? 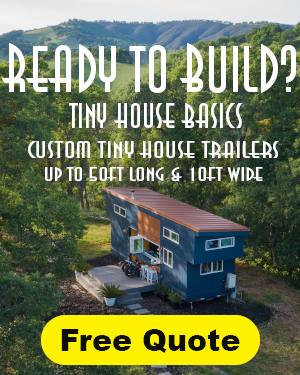 Join a local tiny house Meetup! New friends: perhaps our favorite aspect of our road trip is making friends, sometimes in unexpected encounters. Even better? Making friends in one state and reconnecting with in another city or state. 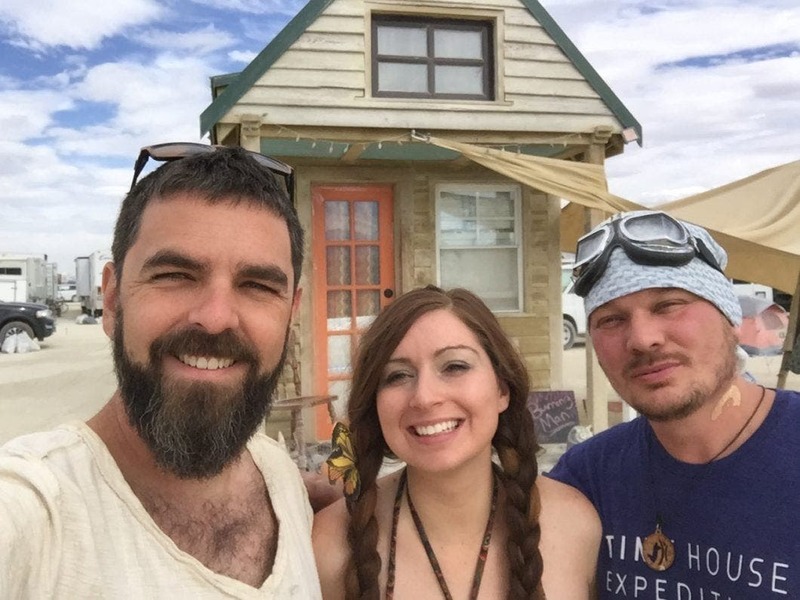 For instance, we met our friend Carlo in a chance encounter at Burning Man in Nevada. We hit it off immediately and months later, we parked at his place in San Jose, CA. We are travelers, nomads, alternative dwellers. This does not keep us from experiencing community. In fact, our community experience is incredibly rich and intimate. 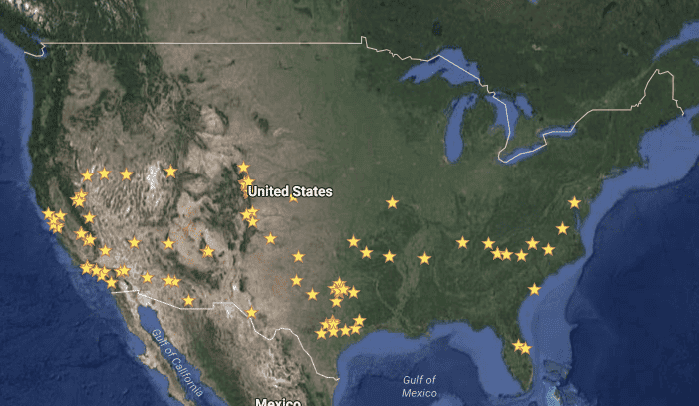 We are weaving a community network across the country; not defined by geographic boundaries but made strong through in-person connections, shared experiences, open hearts and minds. 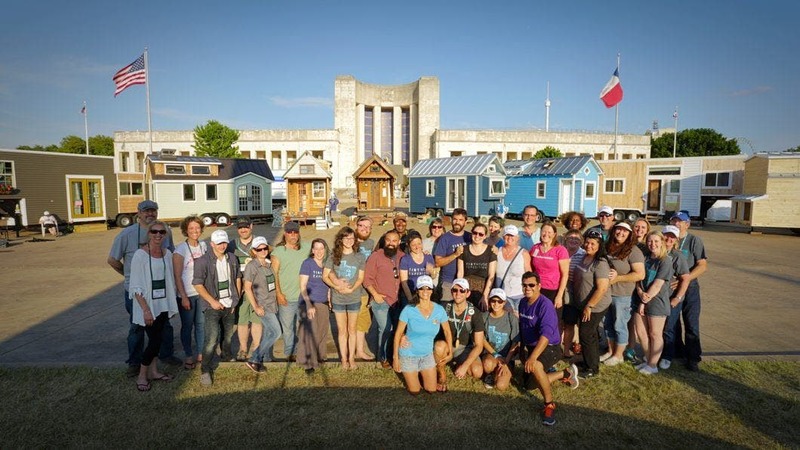 Community Living at Tiny House Events: while our experiences at the Tiny House Jamboree and Earth Day Texas Tiny House Village were a uplifting good time, our after-hours community life at both events was incredibly fun. 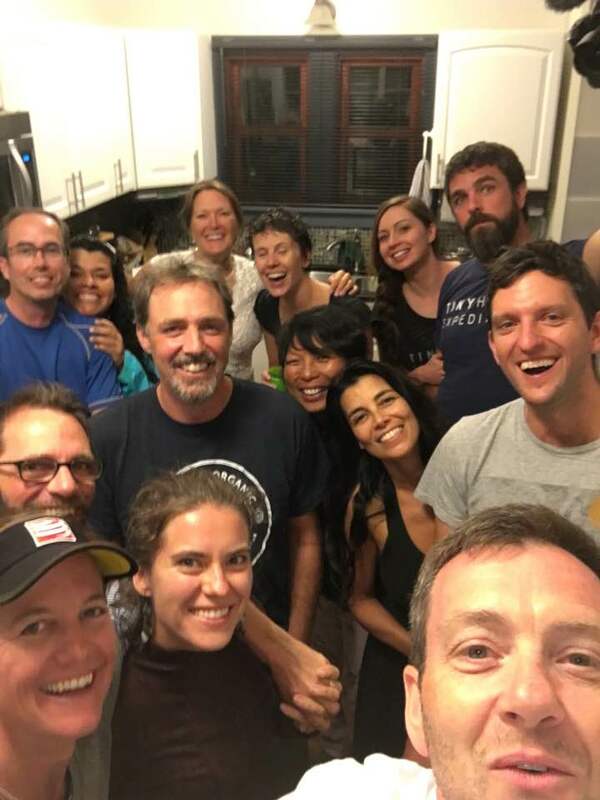 At the Jam, we stayed in a community rental house with the Tiny House Collaborative and Andrew & Gabriella Morrison of Tiny House Build. Each night was filled with laughter and heartwarming stories. Plus, BAreen wedding celebrations (BA Norrgard & John Breen)! 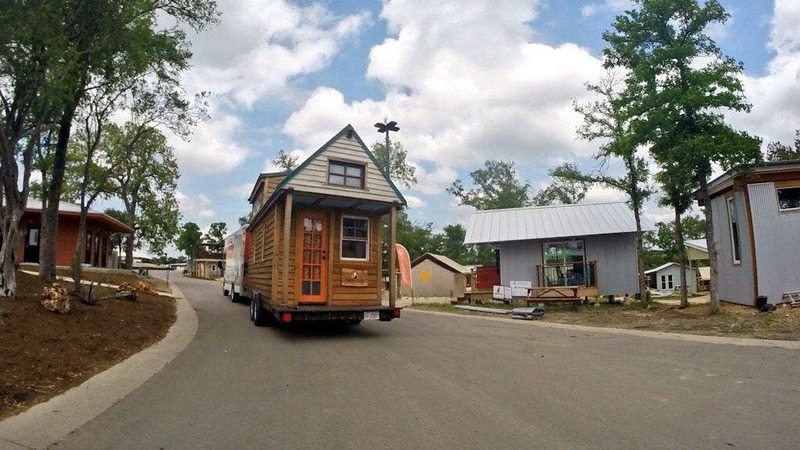 Staying at the EDTX village truly felt like community life, complete seven DIY tiny houses. Neighbors helping each other set-up, shared meals and porch life in the evenings. 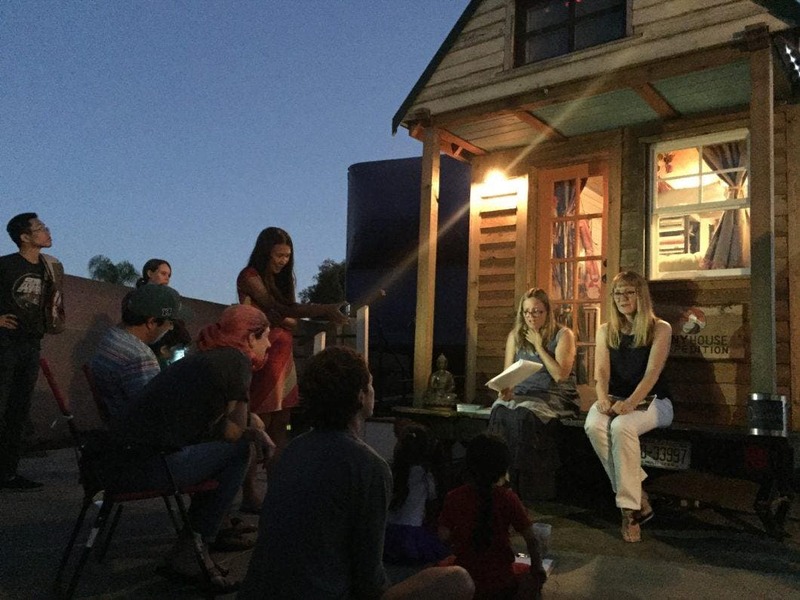 This story from Nina Zamudio perfectly sums up our makeshift village: One night, after the Earth Day open houses, Nina went in search of a bathroom in the expansive Dallas Fair Park. Meanwhile, all the tiny villagers were hanging out. Nina passed by a fancy soiree, also happening at the Park. She overheard two sharply dressed gentleman discuss the tiny housers. 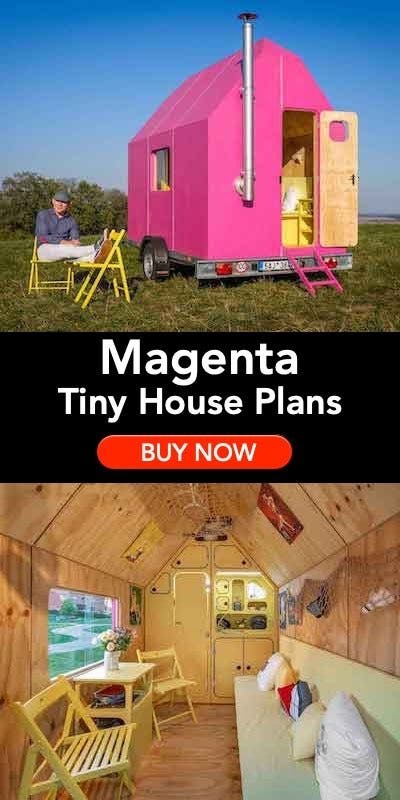 "Have you seen those tiny house people? Every night they're laughing and drinking and having a great time. I think they've found bliss." 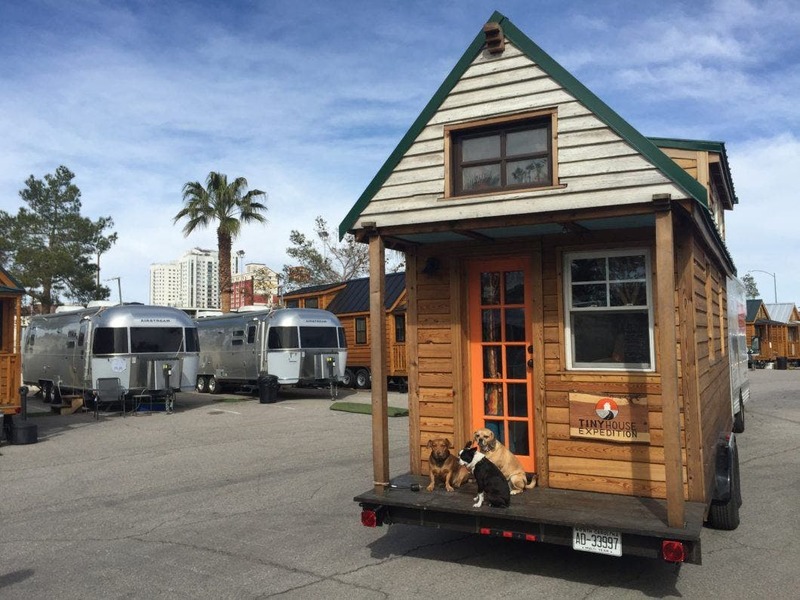 Parking Spots: have you ever wondered where you can take your tiny home on wheels? Our front yard has been the ocean, the mountains, the desert, a warehouse yard, a neighborhood street and many more locations. Some of our all-time favorite parking spots have been next to other tiny housers, or in the driveways or backyards of friends (new & old). 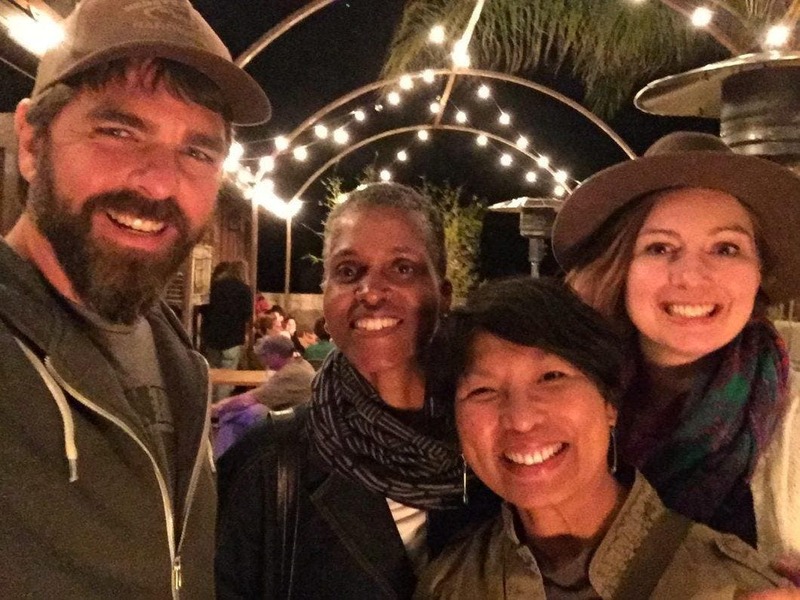 Our road trip has shown us the power of networking and abundant kindness of others. We are so grateful for the generosity of all our parking hosts/ temporary neighbors. Visiting Old Friends & Family: Christian and I have loved ones spread all over the country. Our road trip has enabled us to visit many of them. 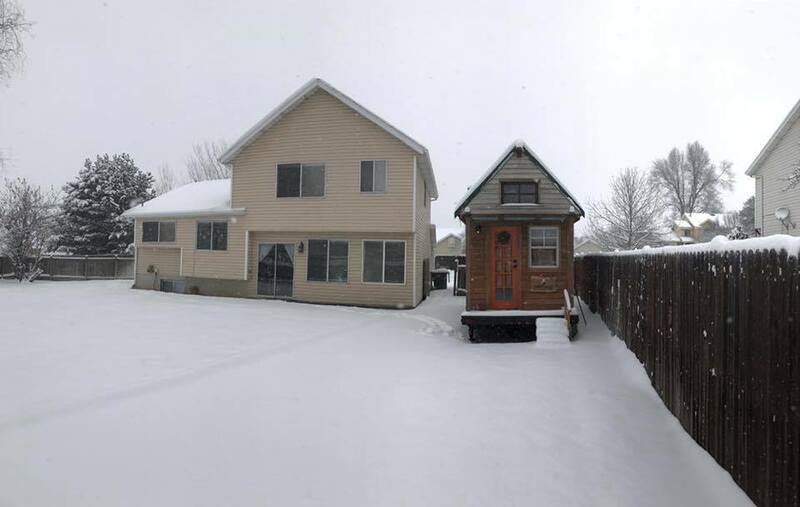 Parking in their driveways or backyards provides the best of both worlds. 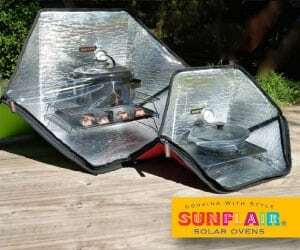 You can enjoy the company of your family and retreat to your private space when you're worn out. My ten-year-old son, Garrett agrees. 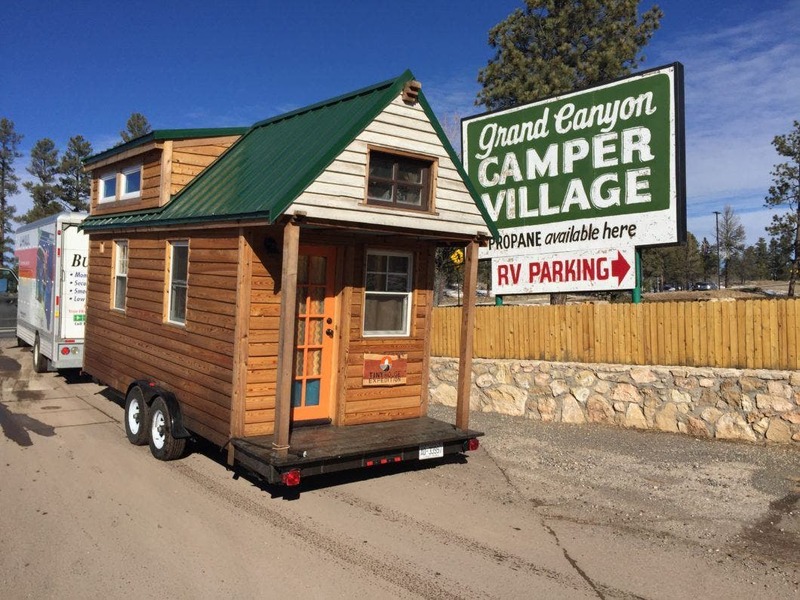 He's a part-time traveler and tiny house resident. In my sister's backyard in Utah. 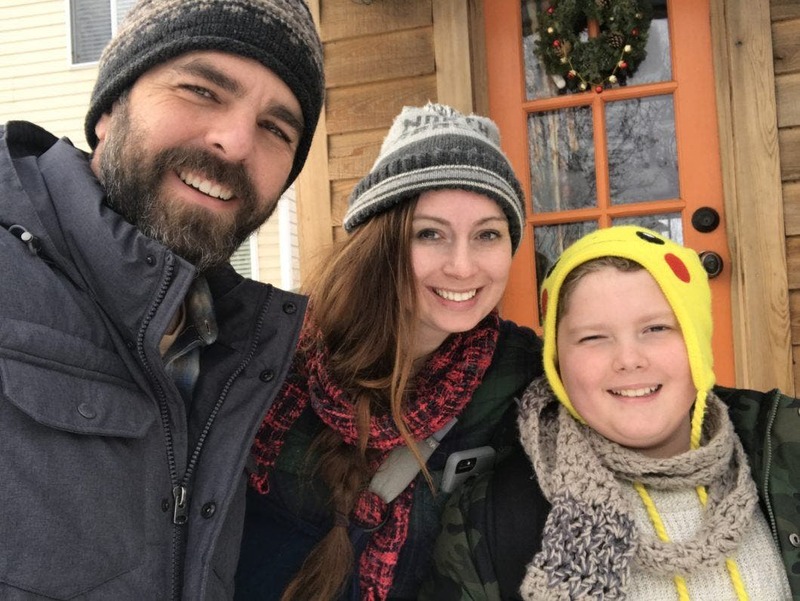 Meeting Remarkable People: if I made a list of all the remarkable people we've had the pleasure of connecting with and interviewing, it would take up this whole blog post! With that said, Dominique Moody is a real stand-out. 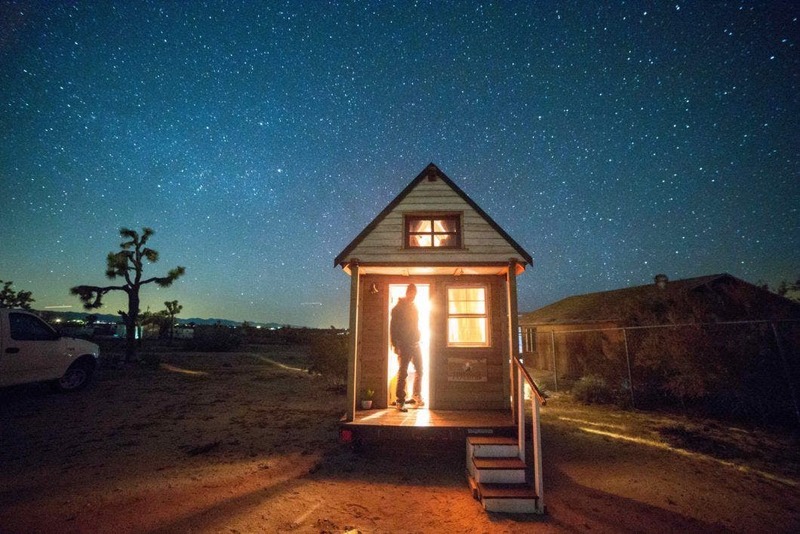 We parked next to Dominique in Joshua Tree, where she was in artist residency with her tiny home, the NOMAD. 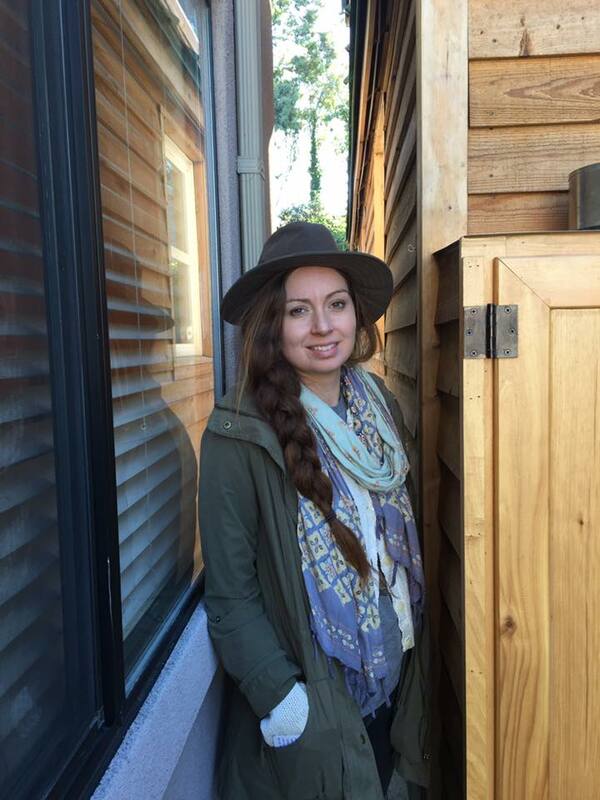 She is an assemblage artist, DIY tiny houser and storyteller with a long-family history of nomadic living. 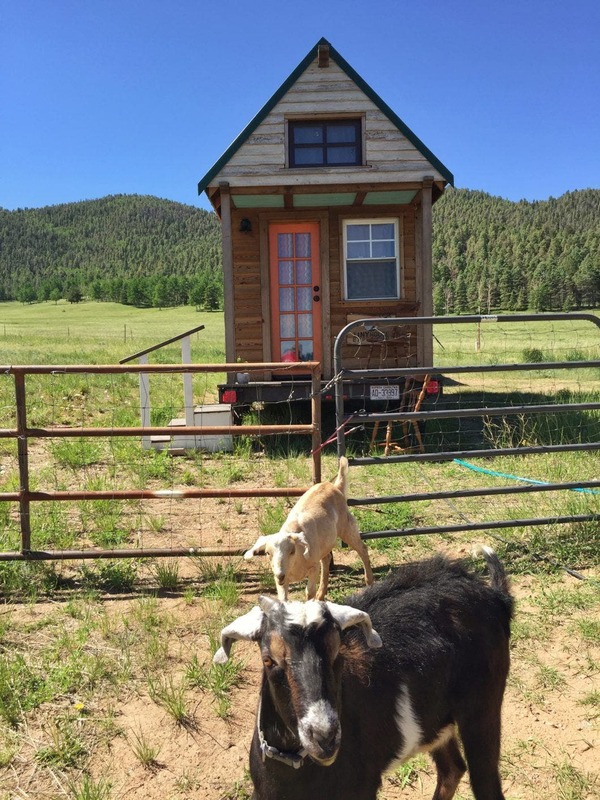 Dominique built her tiny home over three years (like the gestation of an elephant, she would point out). She approached the build as an artist and infused every aspect of her home with rich meaning, color and texture. Did I mention she's legally blind? Dominique is truly extraordinary. She has a very thoughtful, poetic and deliberate style of speaking. When she talks, I always find myself completely enthralled. Being nomadic is a legacy rich in an ancestry rooted in this mobile memory and now practiced in defiance to social and economic limitations, so I will continue to express my 'mobility of spirit'. For the past forty years my nomadic migration has taken me on a path of creative exploration where I could imagine my life based on my creative dreams that are grounded by ordinary tasks of everyday life. Those days turned into twenty five years of dreams, seven years of planning and three years of building, giving birth to the “Nomad”, a mobile dwelling inspired by found objects and salvaged materials...Yet, instead of being an object that is just aesthetically beautiful, the Nomad is a functional dwelling that shelters me, a s well as reflect a portrait of my life. As a storytelling vehicle, that will narrate the journey of my epic “nomadic” odyssey, the Nomad celebrates its past, present and future. 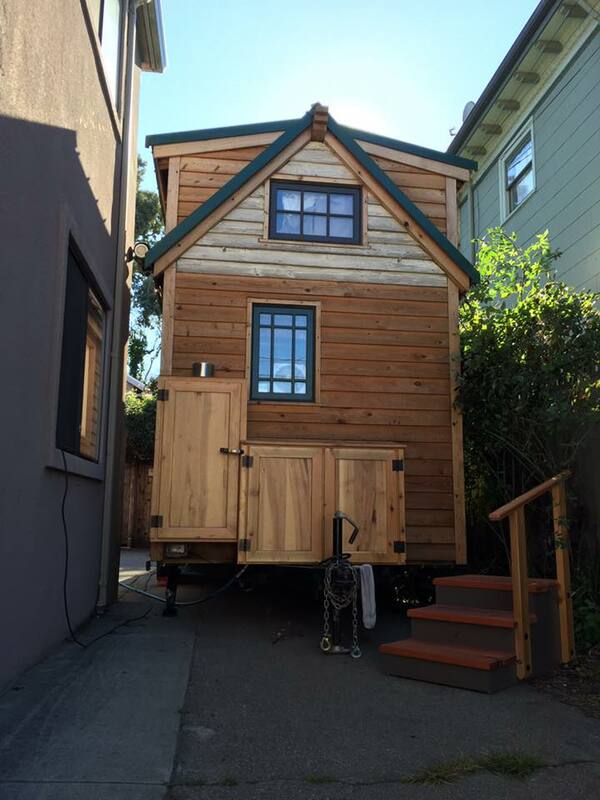 HUGE Tiny House Advocacy Victory: the approval of the historic tiny house appendix for the IRC 2018 was a major highlight of 2016. This was a monumental victory for the movement. 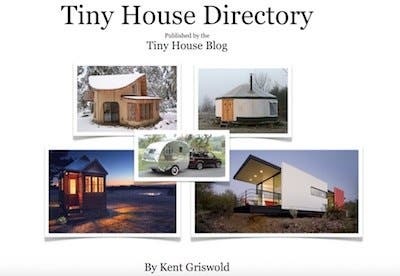 There is now a model building code for tiny homes on foundation, and it will be available for adoption in all IRC jurisdictions nationwide. 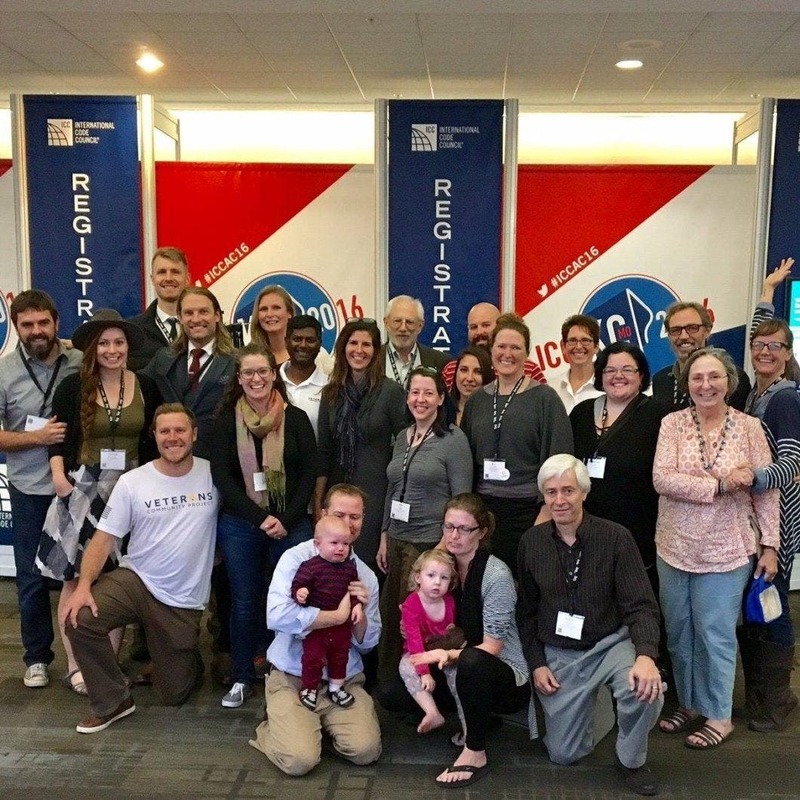 We were very fortunate to attend the first round of voting at the ICC (International Code Council) public hearings in Kansas City, MO, with a dynamic group of advocates and tiny house community leaders. It was the first time in ICC history that the code council granted permission for an outside film crew to tape inside the hearing room. Public hearings can be very dry but this was not your typical hearing. It featured a singing ICC member, a baby at the podium and electric enthusiasm. 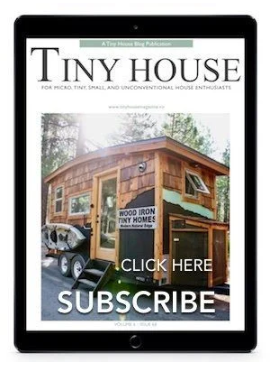 Read all about it on Tiny House Build. 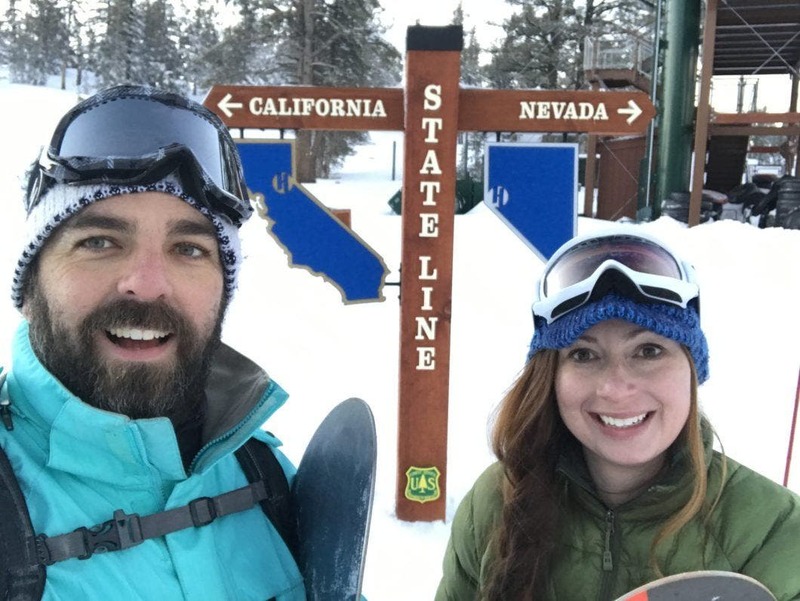 A Broken Wrist: in December, we parked in beautiful South Lake Tahoe with plans to spend five vacation days snowboarding and visiting our friend and snowboarding instructor, Deon (we met at the Tiny House Jamboree). 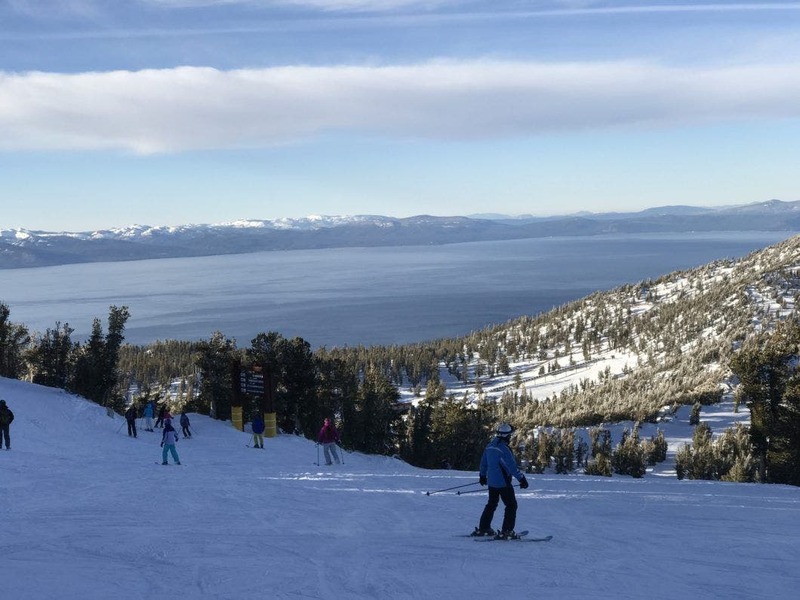 Christian is an experienced snowboarder, and this was my first experience giving it a try. It was tough, but I was really started to get the hang of it. On my third day and best run yet, I caught an edge and fell hard on my right hand. Just like that, I broke my wrist. 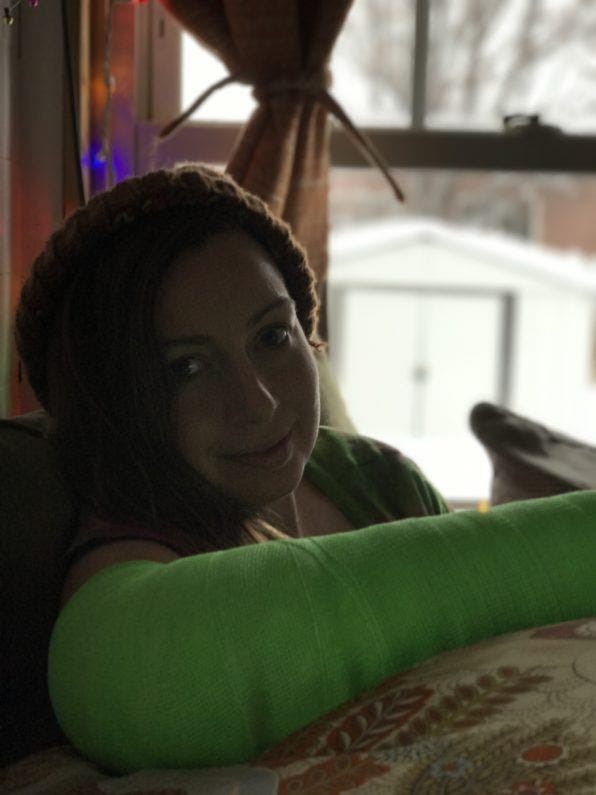 Alas, my first broken bone and the end of my snowboarding season... Good news, I've been able to get along just fine in our tiny home with the help of my new right hand, Christian. Stuck: Our new, sweet friend Amanda invited us to park at her place in Oakland (we met in Ojai, CA). When we pulled up, we immediately knew that we had our work cut out for us. Her driveway was incredibly narrow; just big enough for us to carefully squeeze in. Christian was behind the wheel, and I was his eyes on the ground. Fortunately, we have our hand-signal system down pat. Forty-five minutes of slowly backing up and pulling forward and backing up, from every angle. We asked a neighbor to move their car, which gave a few extra feet of maneuverability We finally made it in! The good news, at the point, we were staying for two full weeks. But when the day came to leave, the street parking was full on both sides of the street. This meant knocking on doors for twenty minutes. No luck. We decided to give it a go. One hour and half of slowly back and forth and back and forth. There was no way we could get our 45' rig (house and U-Haul truck) out of Amanda's driveway. After lightly hitting a flag pole, a neighbor walked by. Fortunately, he was able to have his buddy move his car, parked just next Amanda's place. This was the key. Ten minutes later, we were free! We made it to our open house event, an hour away, just in the knick of time. A Flat Tire: during our trek to Burning Man, in remote Nevada country, we stopped for gas One of the last available gas stations before entering the desert. We quickly discovered one of our tiny house trailer tires was flat. Not just a flat, the rim was busted. We didn't have a spare-- believe me, lessoned learned. At this point we been driving for five hours, and we were nowhere near a tire repair shop. We had planned to spend nine days in the Black Rock Desert, and would need to make it there, another several hours drive with traffic, and make it all the way back to Reno. After an hour of calling all the mobile repair services, with no luck, and asking passing travel trailers if they had a spare tire, we met Gabriel. He was a local resident of the Pyramid Lake Reservation, and he was a godsend. Gabriel's father had a tire and rim that worked for our trailer. Kindness of strangers continues to blow me away. 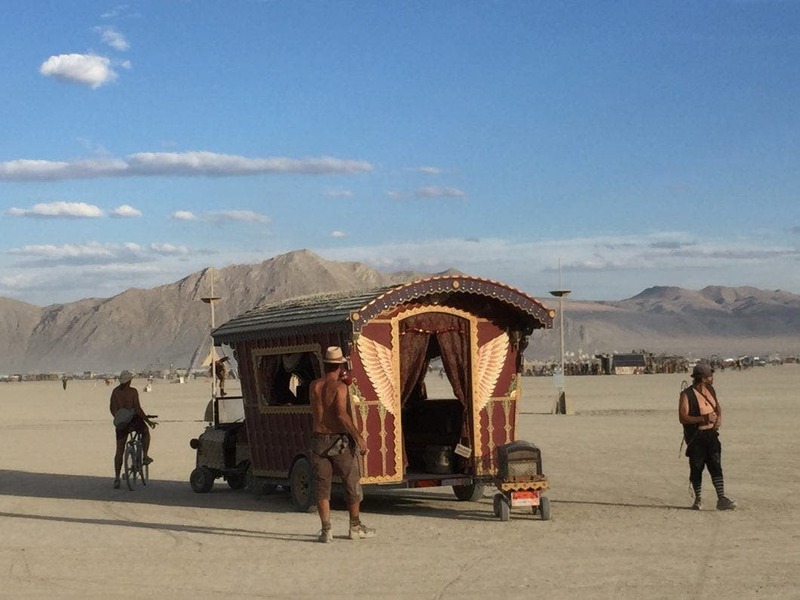 In the end, seven hours later, we made it to Burning Man and back. 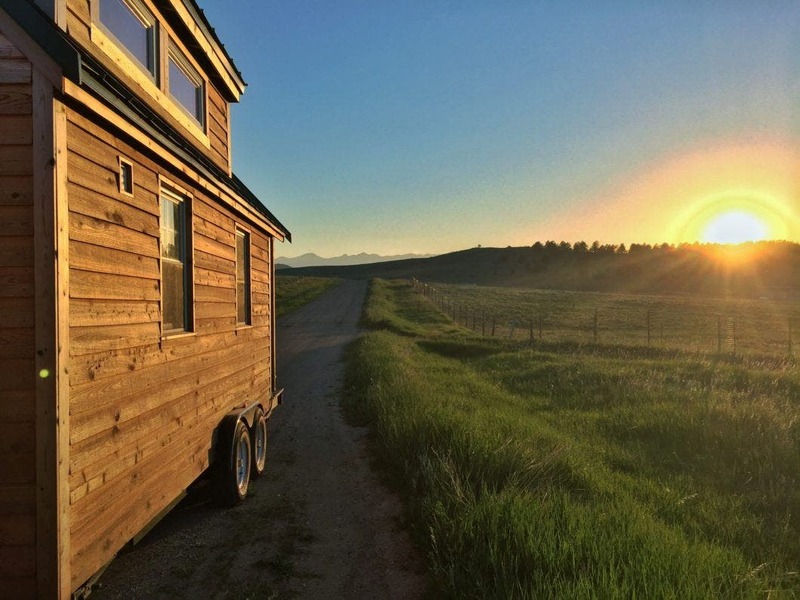 For more stories from our epic tiny house adventures and misadventures, check out our Tiny House Expedition Radio episode from Facebook Live, and our online travel journal.